A snappy ten-point checklist for a child-friendly city has been pulled together by Vancouver urbanist and writer Jillian Glover. I confess I am cautious about the ‘top tips’ style of writing, which can lead to oversimplification. But this ticked a lot of my boxes. Street play initiatives can make a real difference to the lives of thousands of children and families across an urban area. 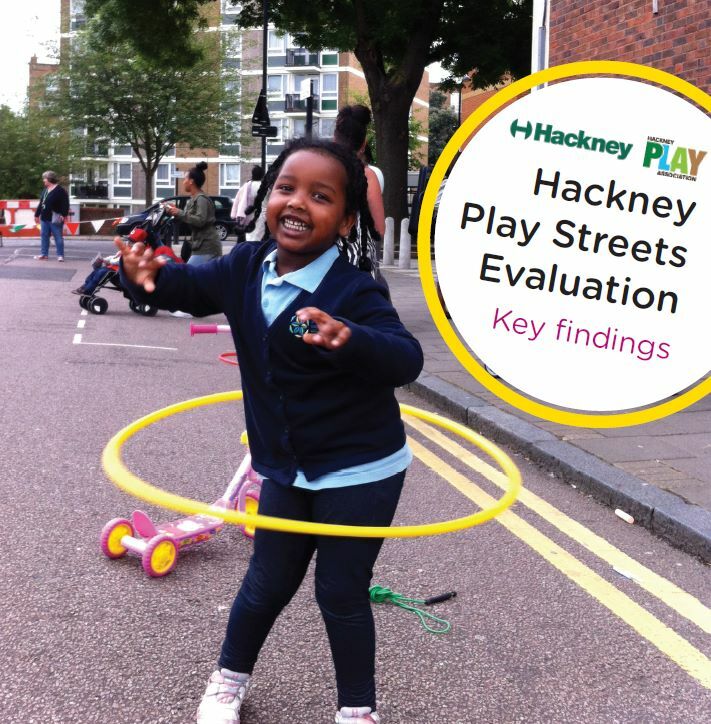 This was the key message of the first ever area-wide study of a street play programme, which I carried out for Hackney Council. My evaluation – launched by the London Borough last Friday – also revealed that schemes have caused minimal levels of traffic disruption, and have faced very little local opposition. I was in Bilbao a few weekends ago and spent several evenings in Plaza Nueva, a square in the old town and a popular weekend meeting place for local people. 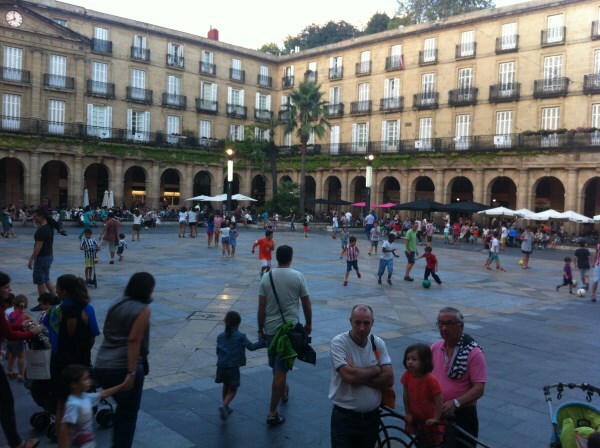 While grown-ups enjoyed drinks and tapas (or to use the Basque term, pintxos) in bars under the elegant colonnades, the central area was humming with children playing. Ball games, scooter races, chalk-picture-drawing, heely tricks (remember Heelys?) and chit-chat were just some of what was in the mix. 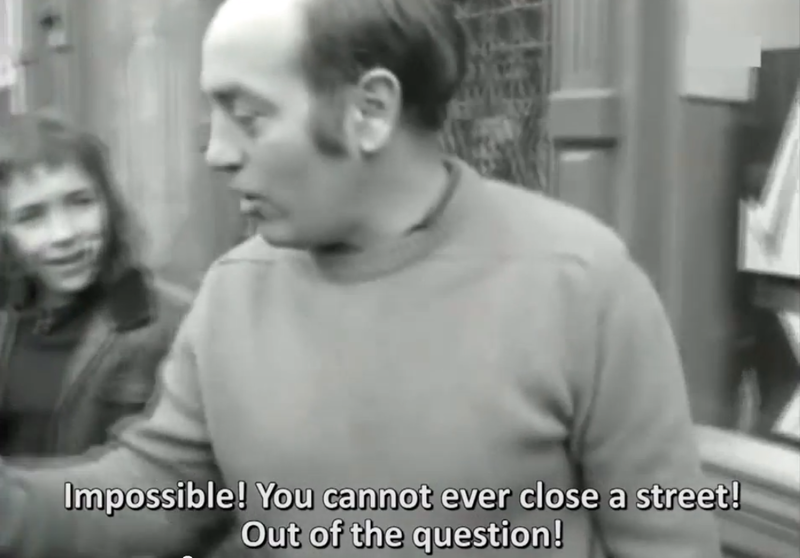 Could this be the most play-literate PR video ever? A couple of weeks ago the UK laundry brand Persil (known in many parts of the world as Omo) released a set of short videos called ‘Kids Today’. The aim is to give parents insights into the intrinsic value of play, using ‘point of view’ cameras to bring the viewer closer to the world as seen through children’s eyes. Here is the first, entitled ‘Play Face’. “Their marvellous environments for cycling did not appear out of nowhere – they are not some innate condition of being ‘Dutch’.” An important history lesson for those of us arguing for more child-friendly streets. I was struck by two details from yesterday’s blogpost by Mark Wagenbuur, about early protests for child-friendly streets in Amsterdam in the 1970s – details that highlight the importance of the quality of the physical environment for enabling cycling, over and above any prevailing national culture or attitudes. The first instance was the contentiousness of the changes being proposed to the streets in Mark’s post. One Dutchman, surrounded by children, argued that it was ‘impossible’ to create a street without motor traffic on it. You can see this in the video, about 2:30 in.